It has been a long, long time since we’ve mixed up a mocktail for our daily update. However, the past several nights I’ve been snuggled up reading Brad Thomas Parsons’ outstanding history of aromatic bitters with wild visions of homemade bitters floating through our heads. And with us coming from a three-day weekend that is sometimes associated with over indulgence of both booze and food, we thought it fitting to feature a basic mocktail that Parsons swears by it to take the edge of a night (or day) of overindulgence. 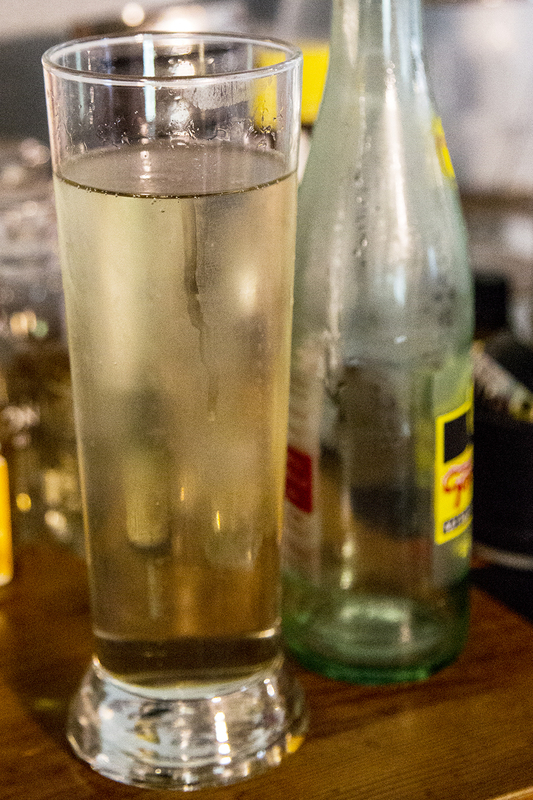 Our personal go-to is Scrappy’s Lavender Bitters, topped with Topo Chico mineral water. I like to freeze a pilsner glass and then add my bitters directly to the bottom, allowing the fizz of the water to mix it well. This is a great bit of aromatic wonder that fills your palate, and does help an upset stomach. Even if you’re feeling like the cat’s pajamas, this is still a great in-between cocktail drink to make sure you’re staying hydrated.